Turn left on West Side Square. 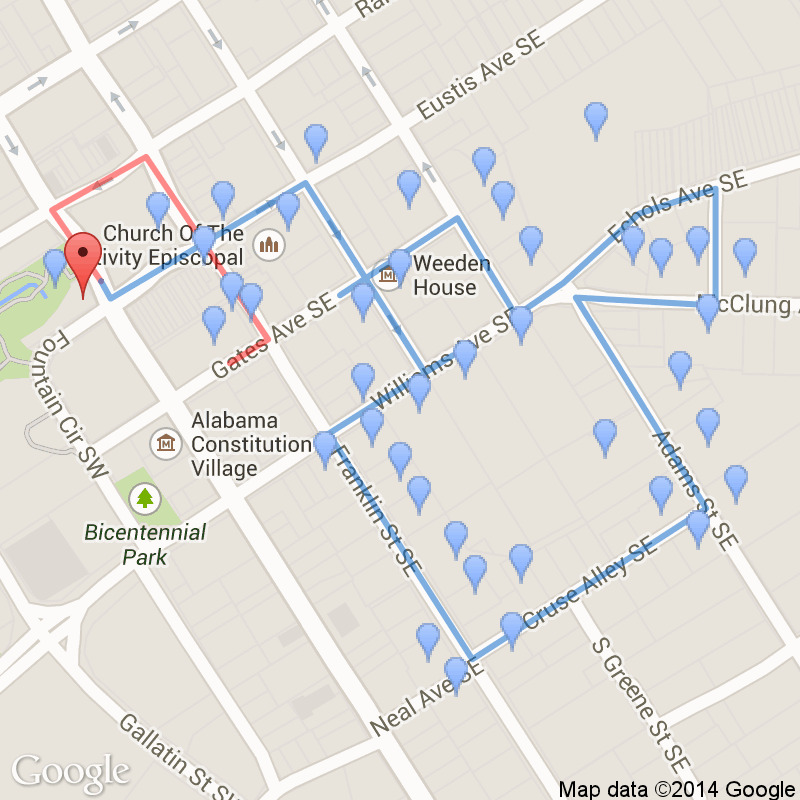 Continue up the street and stop in front of the Bank Building on your right. 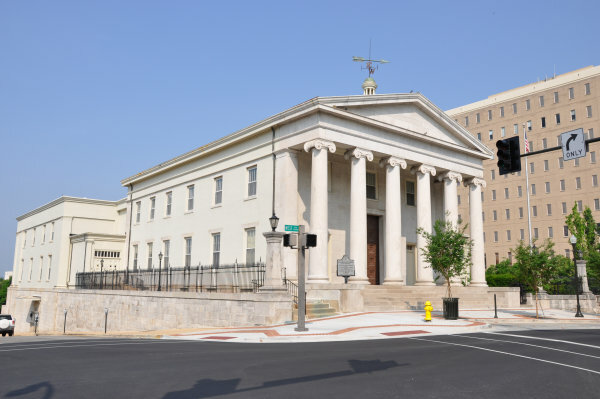 This building, built in 1835 for $76,000, was known as the Marble Palace and has remained in use as a bank since that time. 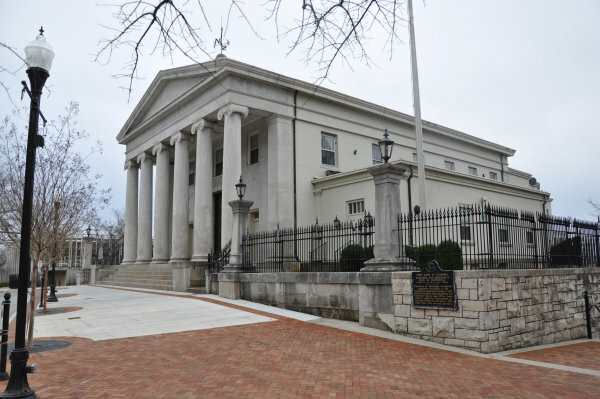 Architect George Steele's slaves were the trained artisans who built it. The massive columns were transported down the Tennessee River by barge from Baltimore. The basement contained detention cells for slaves who were held for their master's debts. 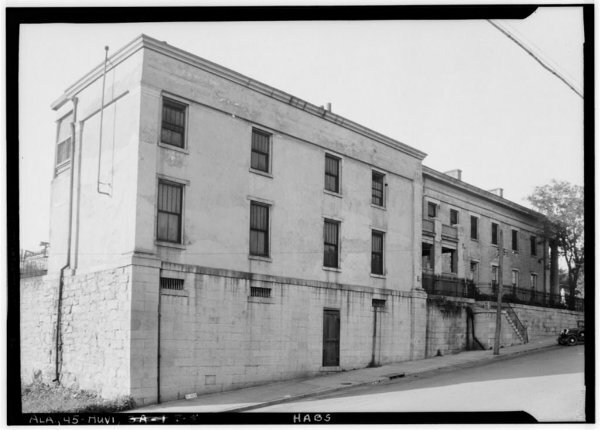 Housed on this site in brick building 44 ft. x 54 ft.
Chartered by Mississippi Territorial Legislature December H. 1816. 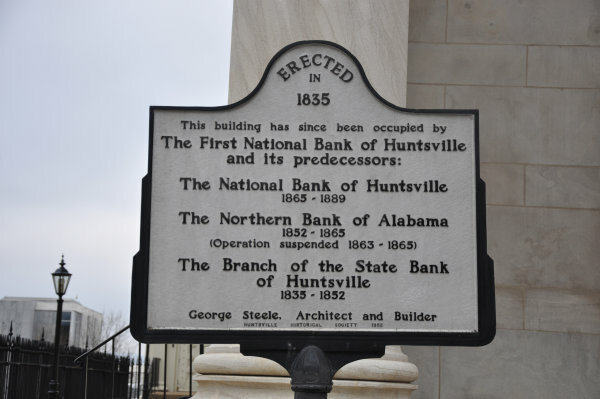 Commenced operations October 17, 1817. shortly thereafter made depository for Huntsville Federal Land Office funds. 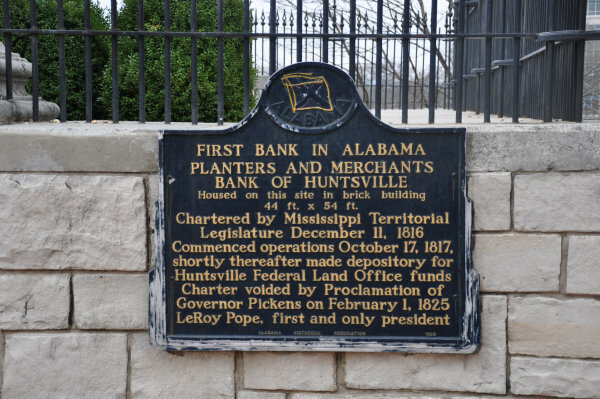 Charter voided by Proclamation of Governor Pickens on February 1, 1825 LeRoy Pope, first and only president. 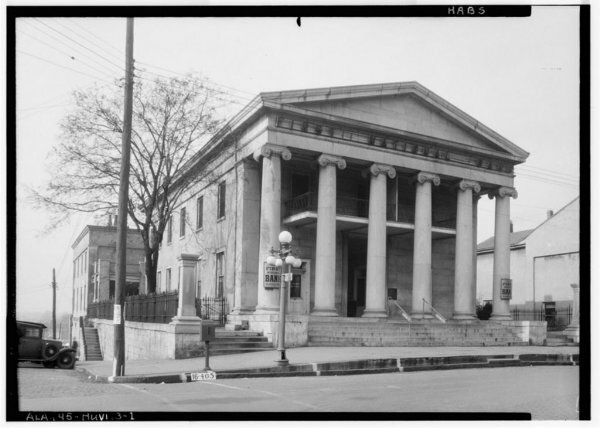 "First National Bank and old 'Cotton Row' looking north on Jefferson St."
Front: First National Bank, Huntsville, Ala.
By: Pub. 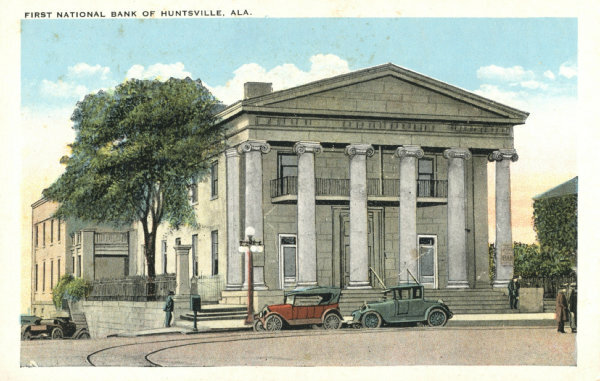 by J. D. Humphrey & Son, Huntsville, Ala.
"The Northern Bank of Alabama. 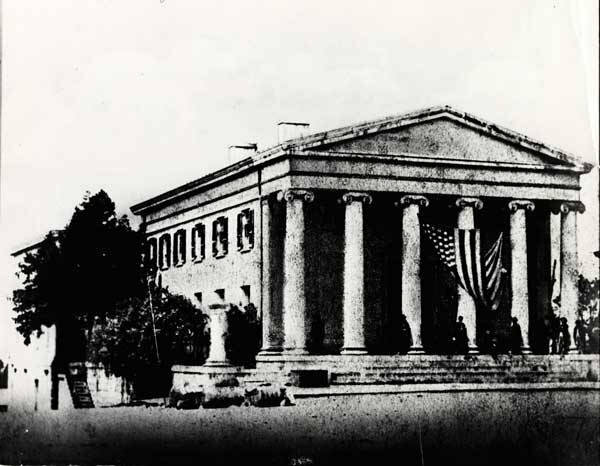 Now Regions Bank, the Northern Bank of Alabama bears the Union flag shortly after Huntsville was occupied by Federal troops in 1862. 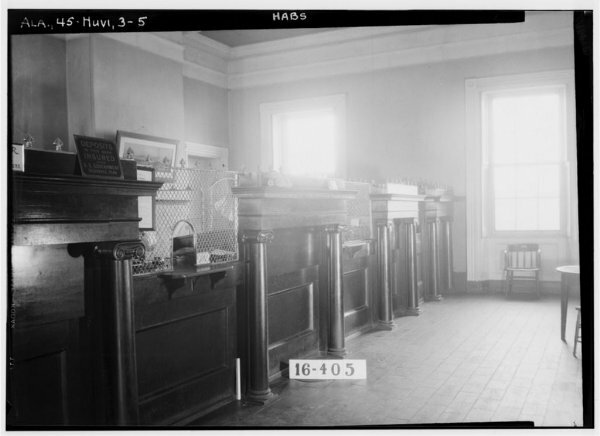 The bank still occupies the south corner of West Side Square." "Historic American Buildings Survey W. N. Manning, Photographer, April 25, 1934. 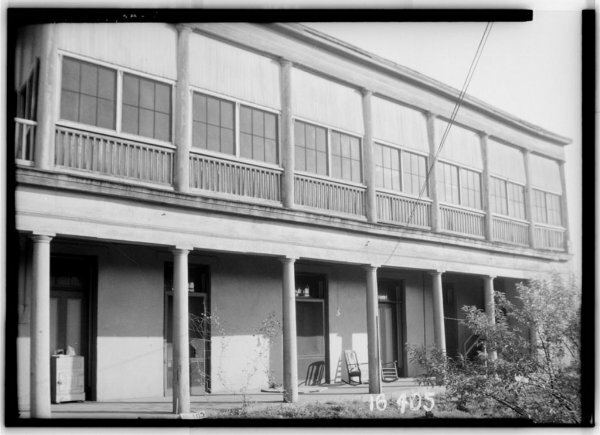 COURTYARD OF SLAVE QUARTERS - N.W. ELEVATION"
"Historic American Buildings Survey W. N. Manning, Photographer, March 17, 1934. FRONT VIEW." 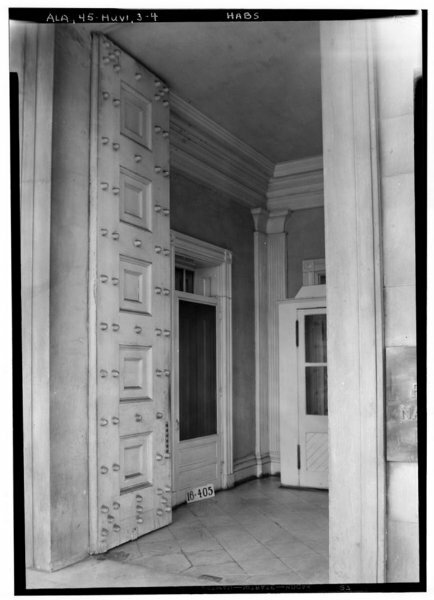 "Historic American Buildings Survey W. N. Manning, Photographer, March 23, 1934. REAR VIEW"
"Historic American Buildings Survey W. N. Manning, Photographer, April 25, 1934. 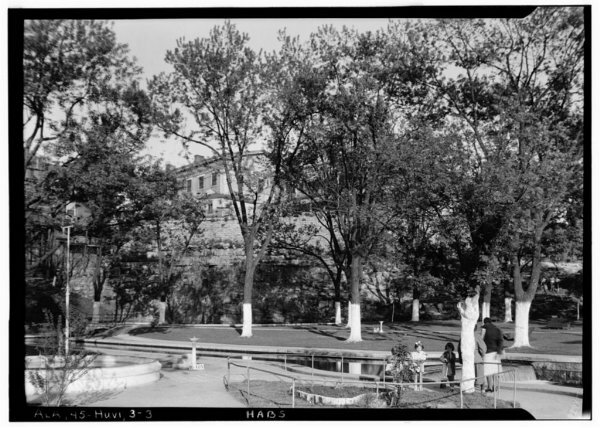 VIEW ACROSS PARK TOWARD CLIFF AND BANK BUILDING." "Historic American Buildings Survey W. N. Manning, Photographer, April 25, 1934. CLOSE-UP OF VESTIBULE." "Historic American Buildings Survey W. N. Manning, Photographer, April 25, 1934. 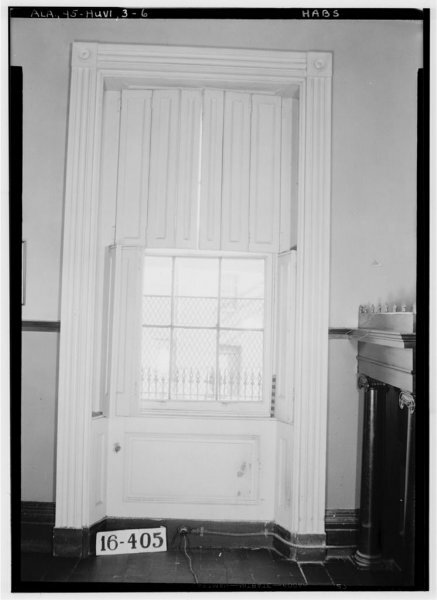 DETAIL (WINDOW SHUTTER AND WINDOW)"
"Historic American Buildings Survey W. N. Manning, Photographer, April 25, 1934. 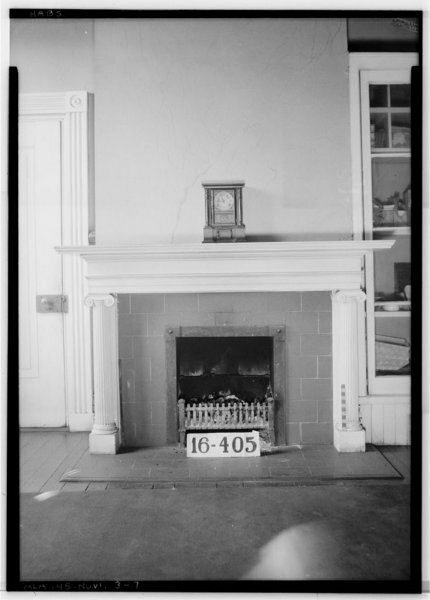 DETAIL OF FIREPLACE IN DIRECTOR'S ROOM." "Historic American Buildings Survey W. N. Manning, Photographer, April 25, 1934. SLAVE KEEP - S.E. ELEVATION."